My pair of bean boots! I feel like in the winter I am just on a constant rotation between bean boots and riding boots. Sometimes I have to force myself out of that rut and convince myself to mix it up a little. I’ve had my bean boots for a little while now (have definitely gotten my use out of them) and I still can’t seem to get enough of them! I swear by them. The other day I was in target and one of the employees even asked me how I like them! They are perfect for cold rainy days walking in-between class or the days spent in the library. Over thanksgiving I was home catching up with some friends and one of my friends offered to tie them like hers so they would be easier to slip on and off. I couldn’t resist and as she tied them for me I watched and learned how! I always get compliments how my boots are tied! Try it out! It's super easy and the best part is, is that you can easily slip your foot in (world of difference, let me tell you). Plus, if I do say so myself, it looks pretty cool if you ask me. Here is a picture of mine! How cute do they look?! Do you have the 6 inch bean boots? I can't decide between the 6 and 8 inch mainly because of what could best be worn with skirts and dresses occasionally. What do you think? Hi! My bean boots are 6 inch! I decided to go with 6" because I am pretty short, 5'1" (on a good day). I felt like the 8" ones would be a little too tall on me. However, tons of my friends, have the 8"! I think that if you're in more of a severe climate the 8" offer more coverage. So cute! I can't wear Bean boots because they are so wide but I love them on everyone else! That is so brilliant! 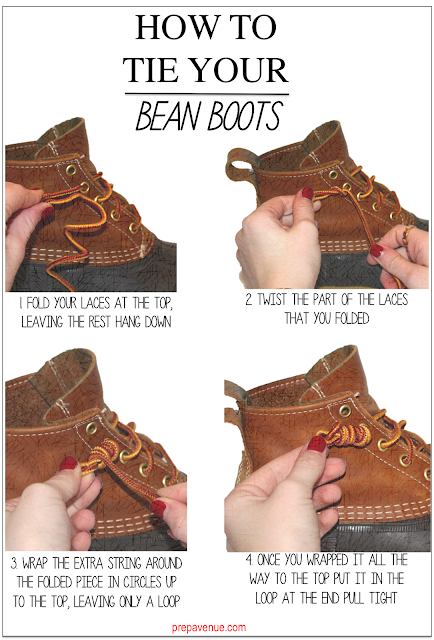 I just tie a knot at the end of my bean boot laces. When I get a new pair of laces I'll have to tie them like this. Thank you for sharing! Do you think this will work on boat shoe laces? I definitely think they will work on boat shoes! I know tons of people who tie their Sperry's like this! Let me know how it goes! I love my bean boots! I now have them (and my Sperry's) tied like this and it is absolutely adorable. My friend did my Sperry's last summer and I'm super excited that I know how to do it now! 3-and-a-half ways to raise money with a tin of baked beans. Yup - it's not a typing mistake, I do mean 3 and a half ways! Simple to do, easy to implement and great fun as well.I find this website for 8 Inch Work Boots. You can visit this site. This is so clever, and it looks good too! I will try it on my boots right away! Thanks for this excellent tip! Excellent tip! 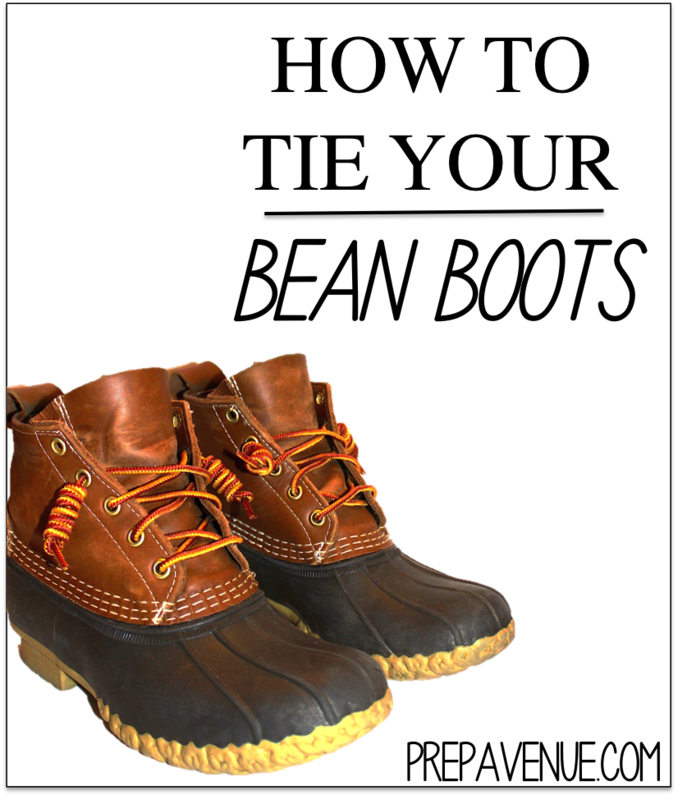 They look great, and are easier to slip on and off, not to mention that you probably never need to stop to tie your unties laces with this knot. Thanks for sharing!